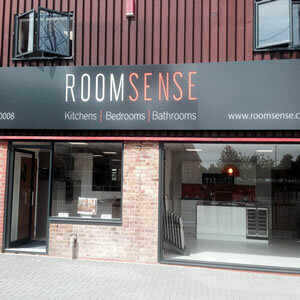 Here at Roomsense we understand how important the purchase of a new fitted kitchen or fitted bedroom is. Our aim is to provide as much choice as possible, design your perfect room at a lower price and give an efficient and friendly service to all our customers. 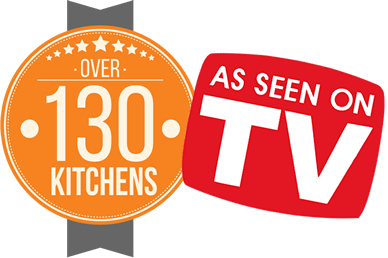 Over 25 kitchen ranges in a variety of colours - this gives our customers over 130 kitchens to choose from making it one of the largest collections of kitchens in the UK. With over 35 bedrooms to choose from you are sure to find what you are looking for. Roomsense offers high quality fitted kitchens and bedrooms at a lower to mid-market price with upgraded hinges and drawers as standard. Find out more on our Product Quality page. We have one of the largest choices of cabinet sizes available which will enable us to design your perfect fitted kitchen or bedroom around your room specification and needs, unlike most of our competitors who can only design your room around the limited choice of sizes they have to offer. Whether or not you visit us in our showroom we will always design your kitchen by using our Home Design Service. Book a no obligation appointment and your personal kitchen designer will work with you to design your dream fitted kitchen or bedroom in the comfort of your home using our computer 3D software. You can view the finished design on screen within your actual room giving you a clear understanding of what has been designed. This is far better than trying to visualise your new kitchen while sitting in a showroom! Doors and worktop samples are brought to your home for you to see and choose what works best in your home. No need to wait for a quotation! A quotation is given to you in most cases during this visit. Once you have placed your order we will send a surveyor who will check all the design specification and ensure the measurements are correct. 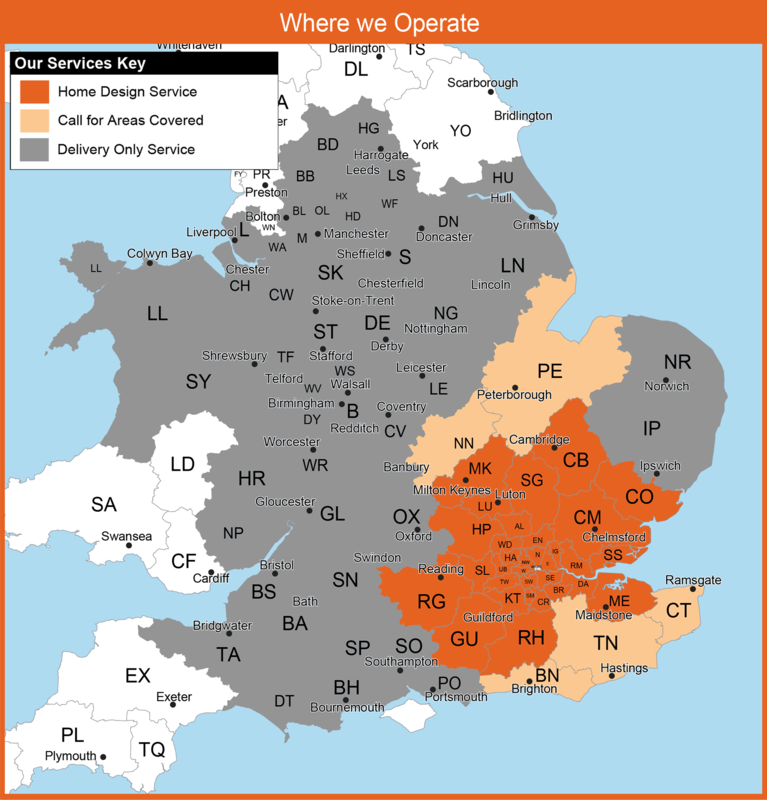 Every kitchen and bedroom is manufactured to order and in most cases we can deliver within 7 days (subject to survey). With Roomsense, you will find a friendly efficient service, both during the design stage and after sales customer care team. Only two members of our customer care team will be assigned to look after your order. This means that you will always speak to the same two customer care representatives who will know all about your order both before and after delivery.